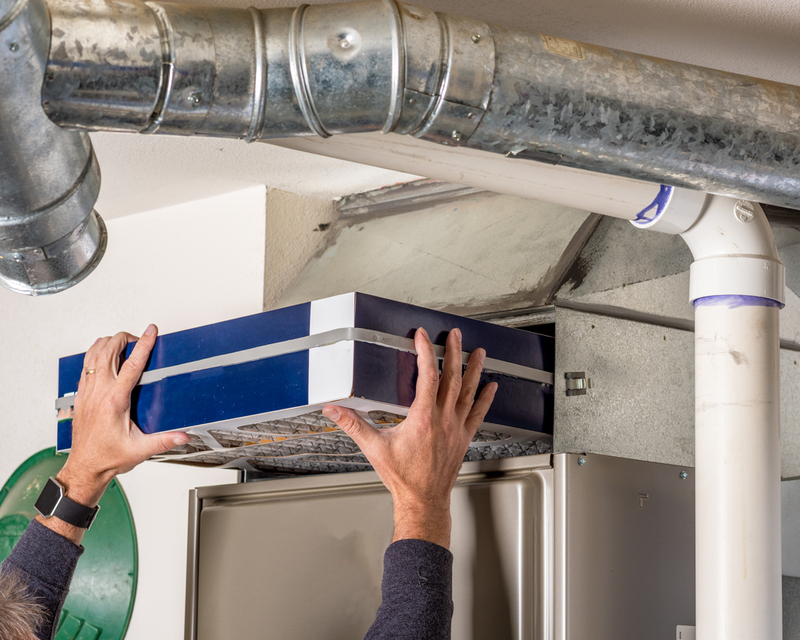 During winter we get a good amount of calls from homeowners complaining that there isn’t any warm air coming from their vents and that they think their furnace is broken. There could be many reasons for this problem that you could fix yourself. First, we need to clarify if the air coming from the vents is cool, or if there isn’t any air coming from the vents at all. Air coming from the vents is cool: If there is air coming from the vents but it is cool, it probably means the problem isn’t the furnace blower. Instead, the problem lies with the heat exchanger or burner. If the furnace flame isn’t completely blue the burner may need to be cleaned. There may also be a crack in the heat exchanger. If that is the case, you need to call a professional and get it replaced quickly. A cracked heat exchanger can cause a carbon monoxide leak which could make those living in the home sick or could even be fatal. It would be worth scheduling an appointment to get your equipment serviced. Check the circuit breaker box. A tripped circuit breaker could affect the furnace or even the thermostat. Start there first to see if any of the breakers have been tripped. Make sure the thermostat is set appropriately. This may seem like common sense, but it may be that the thermostat is set to low. Make sure the thermostat is on and turn it up. It is okay to be a little dramatic (go ahead set it to 78) just to test it and see if it is working. 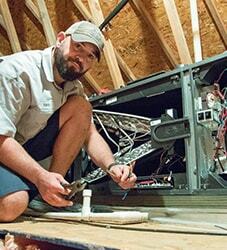 If the furnace does switch on and warm air starts coming from the vents it may be that you just need to turn the heat up, or that your thermostat sensor isn’t working properly and needs to be repaired or replaced. Change your furnace filter. Your furnace filter needs to be changed once a month. Many homeowners skip this step. Don’t skip this step. Air filters can become so clogged that they block the flow of air through the system. Before giving us a call, check the filter. When you are sure it isn’t something simple and want to confirm that it is indeed the furnace blower, there is an easy way to see if the furnace blower is the culprit. First turn off the furnace by locating the electrical wires coming from the furnace and following them till you find the switch (normally looks like a light switch). Turn the switch off. Now if your furnace is supplied by gas you will also want to turn off the gas. Follow the gas line until you come to a valve and turn the handle so the gas turns off. Just to make sure the job is done, you can always check to make sure the pilot flame has gone out. Once the furnace is off, turn your thermostat to “fan only” and listen for the blower fan to turn on. If the fan doesn’t turn on then the problem probably lies with your blower fan, or the issue is with your thermostat. Either way, you are going to need a professional to come and diagnose and repair the problem. Furnaces are complicated equipment. There is a lot of DIY maintenance you can do on your own, but when it comes to the gas, electric, and part replacement, you should call in the experts for your own safety. Also, many manufacturers will only honor warrantees if work done on the equipment was performed by a certified expert. 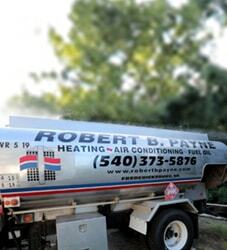 If its cold outside and inside the home, and you have tried out the ideas above, give a call and let us help you get warm again. 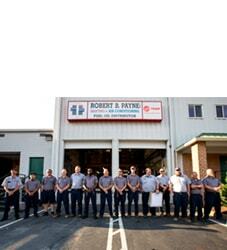 The HVAC professionals at Robert B. Payne Inc., can quickly diagnose the problem and find the best repair or replacement solution for your needs and budget.